Gaelic sports are recognised by the Australian Sports Commission. Various schools in Tasmania have played Gaelic football, usually at lower-mid secondary level. 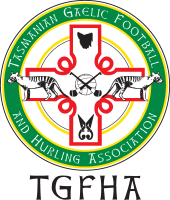 The TGFHA is developing its capacity to assist schools in introducing Gaelic sports. Can you send someone to help us with Gaelic sports at our school? What about learning resources for teachers? A good place to start is the learning portal of the GAA. Some of the material is specific to Ireland but there are also lots of good resources for general use. These include instructions for skills development activities and modified games that are suitable for younger players. For more, available locally in Hobart, see the next question. Can you provide resources & equipment? We have a resource kit that is suitable for ages 6-13. It includes: - resource folder with learning activities, DVD - 4 x genuine Gaelic footballs for junior play - 2 x portable Gaelic portable goals with nets, junior size (the goals are as shown in the photo at the bottom of this page). The kit is available for loan to schools. We are able to deliver it and demonstrate erection of the posts. A hire fee is applicable. Please contact us for details. Is there are inter-schools competition for Gaelic football? We are looking to conduct a one-day Gaelic football tournament for schools in 2018. The most likely date will be toward the end of term 2 or 3, in Hobart. Please contact us to let us know that your school plays Gaelic football and we will invite you to participate. We will be looking for a school with a soccer-sized ground to host the tournament. 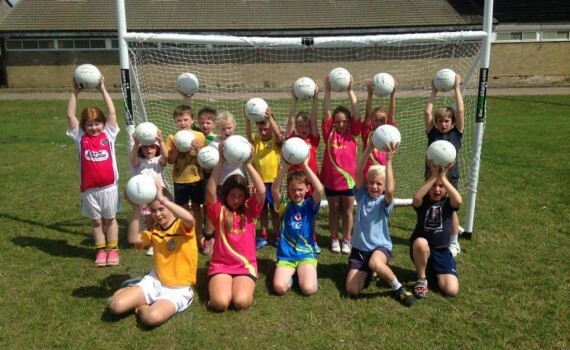 Is there are pathway for juniors to play Gaelic football outside schools? Juniors 10 and up are eligible to play in our social mixed competition (see Links at right). There are modified rules to ensure that they will not be physically overpowered. We are looking to partner with a school to develop an Under-18 team to compete in the Australasian Games. Please contact us regarding how TGFHA can assist you with a Gaelic football program at your school. 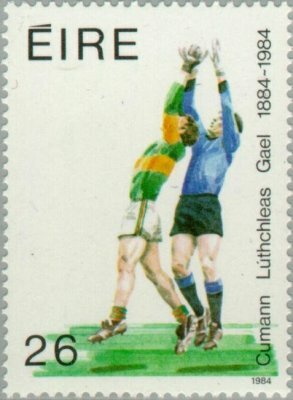 Please see also our LEARN page for a summary of Gaelic football rules and key skills to practise.